The Fiber Side Chair Tube Base, designed by Iskos-Berlin for Muuto, belongs to the Fiber Chair series. The composition of gentle curves and rounded edges makes the chair appear simple and timeless, without losing in terms of comfort. 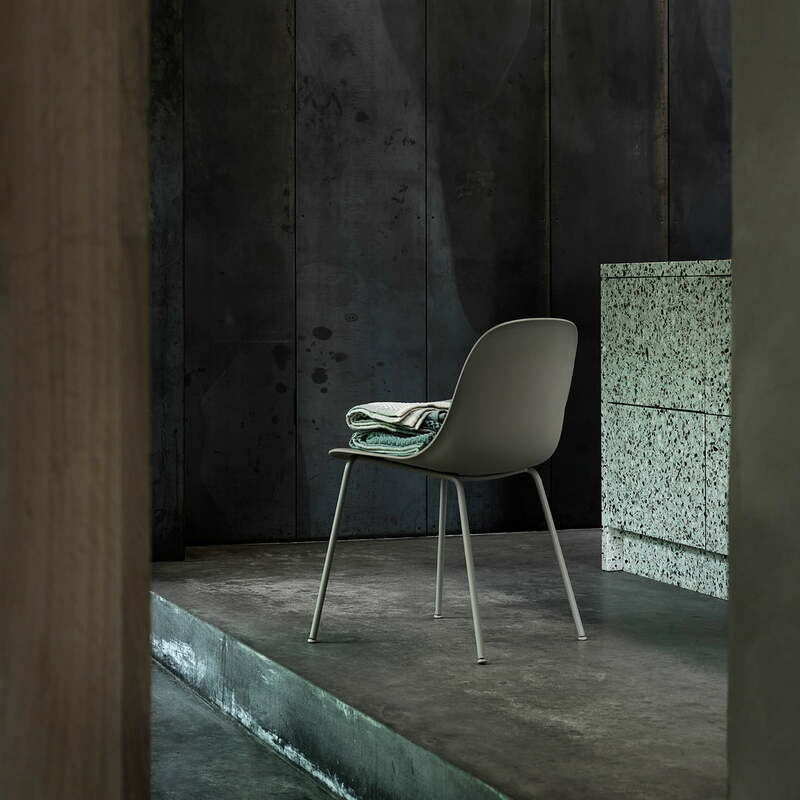 Like the rest of the Fiber Chair series, the Side Chair is also free of unnecessary intermediate elements, giving it a clear shape without eccentricity. The seat of the Side Chair consists of an innovative, recyclable material. The seat of the chair is manufactured from 25% of wood fibres and 75% out of recyclable plastic. 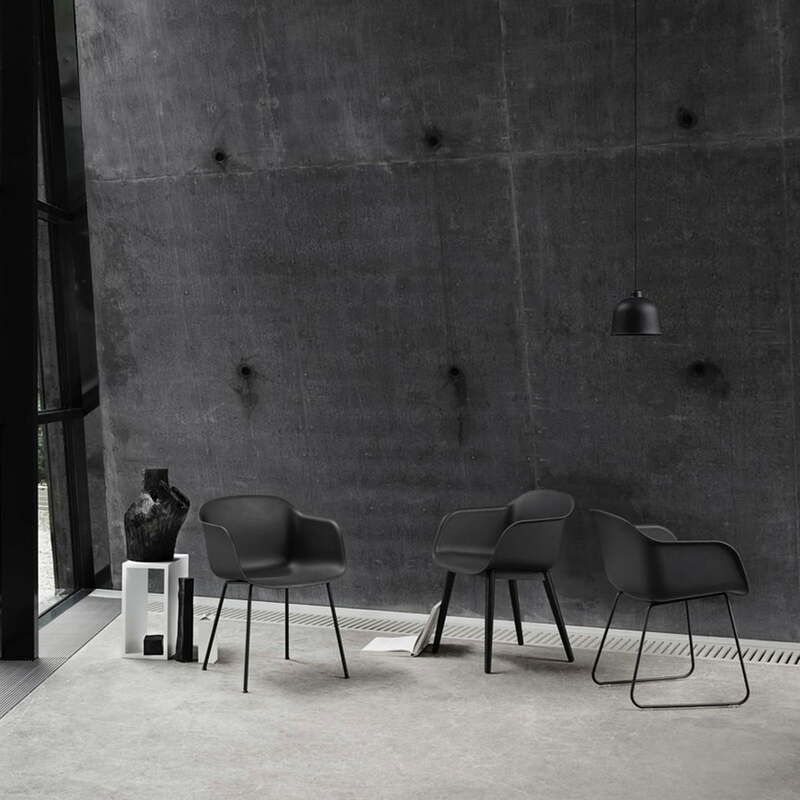 In combination with a powder-coated steel frame, the chair becomes a delicate, lightweight piece of furniture. The chair is available in different colours. 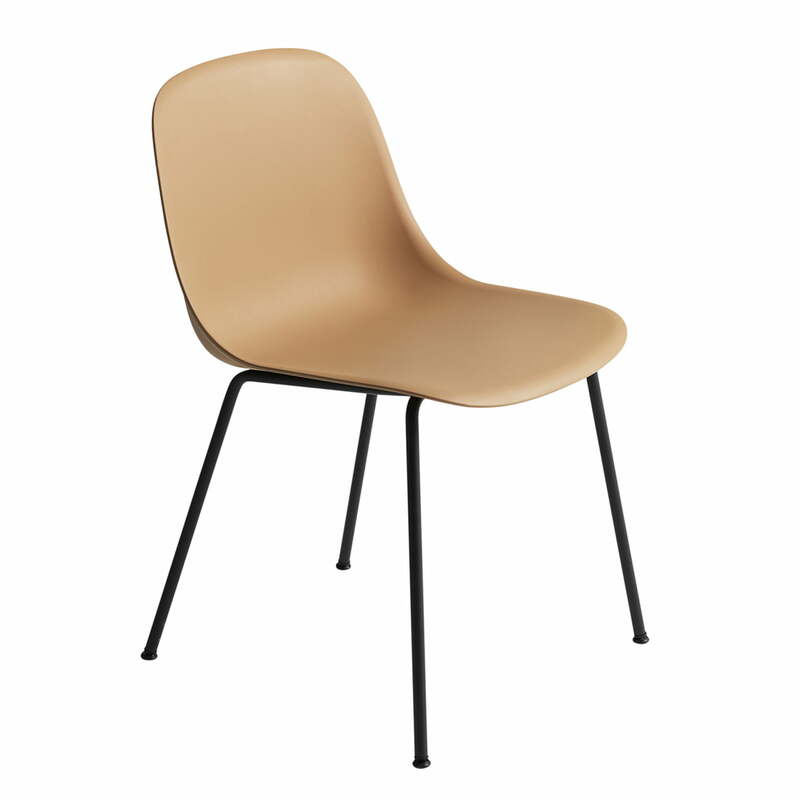 Individual product view of the Fiber Side Chair - Tube Base by Muuto in ochre / black. The seat of the Side Chair consists of an innovative, recyclable material. 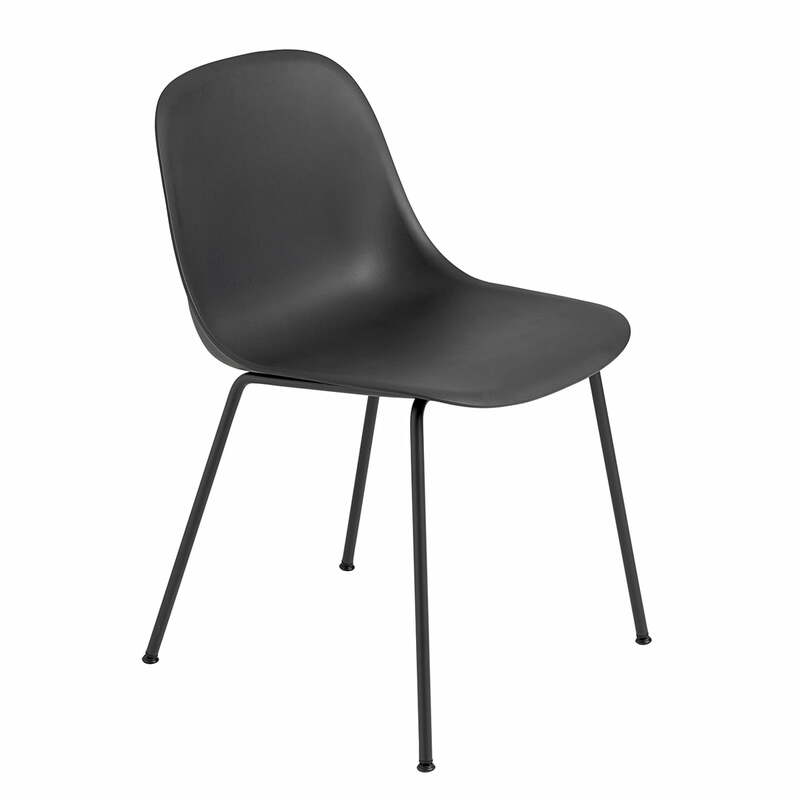 Individual product view of the Fiber Side Chair - Tube Base by Muuto in black / black. The Fiber Side Chair Tube Base, designed by Iskos-Berlin for Muuto, belongs to the Fiber Chair series. 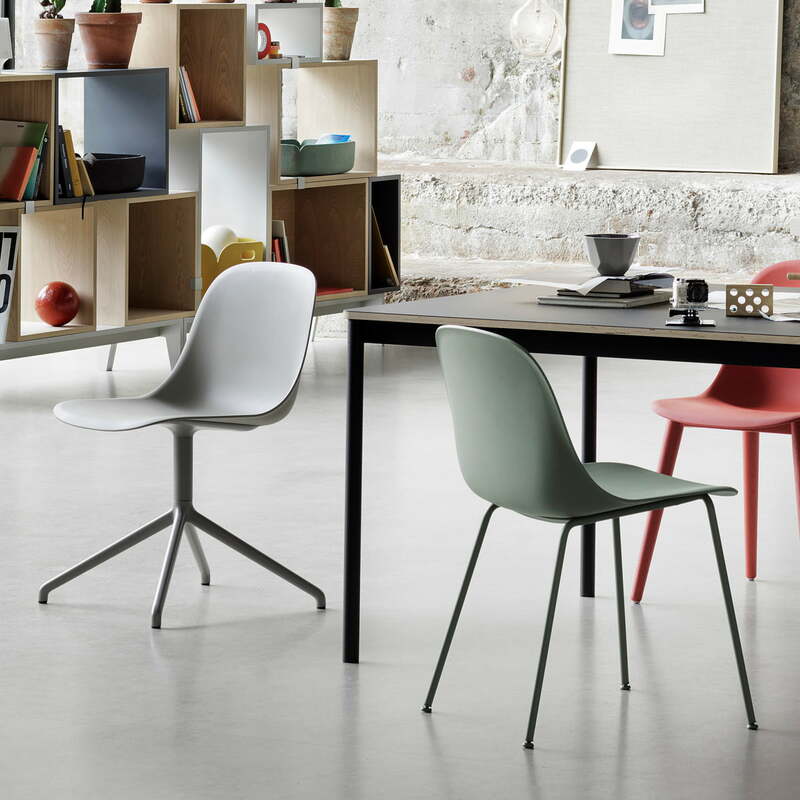 Muuto - Fiber Side Chair Wood variants. Give your living room a touch of Scandinavian design. The variety of colours offers the perfect option for every lifestyle. The Fiber Side Chair Tube Base, designed by Iskos-Berlin for Muuto, belongs to the Fiber Chair series. The composition of gentle curves and rounded edges makes the chair appear simple and timeless, without losing in terms of comfort. 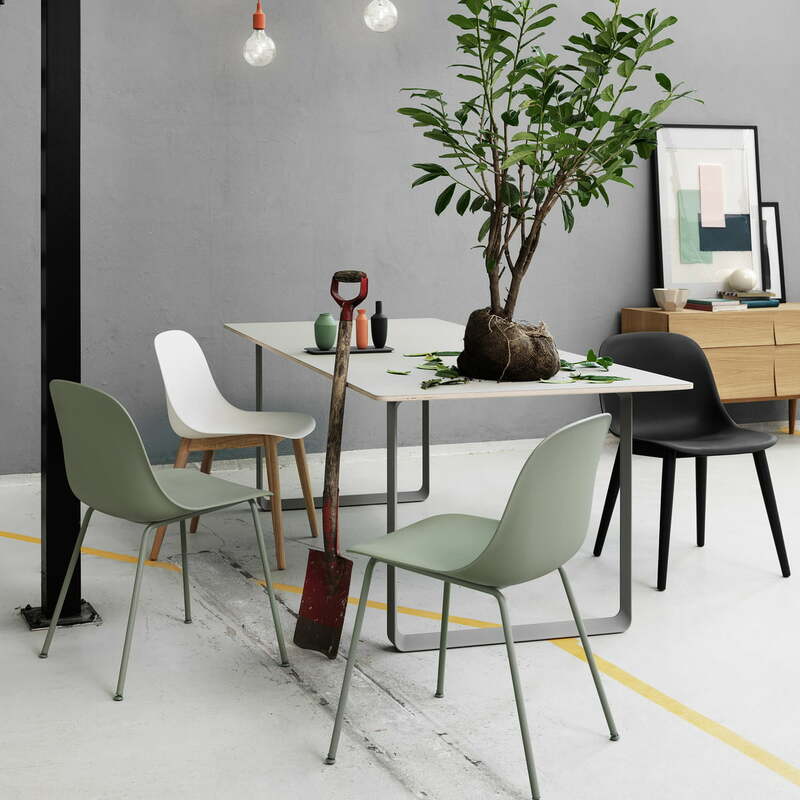 Ambience image of the Fiber Chair by Muuto with various frames. The Fiber Side Chair is available with wood base, swivel base and tube base in various colours.